A digital-only issue of the Alexander Walker Collection will be available for a download/purchase from this page sometime in the relatively near future. If you would like to be informed, please subscribe to our newsletter. 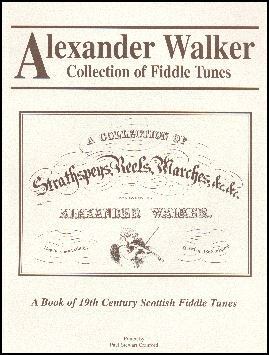 In his day, Walker was thought to be one of Scotland's finest fiddlers. Previously his music has been re-issued in paperback, this new expanded edition will include photos, maps, anecdotes, history, genealogy and poetry. This added information was generously supplied by Peter Duffus of the Glenbuchat Heritage Archive. Music notation and footnotes by Paul Cranford with chordal accompaniment suitable for guitar or piano by Mario Colosimo. Dozens of Walker's tunes still circulate in Cape Breton.